Last year, Lightspeed invited women to destroy SF; this year the LGBTQ+ community gets their turn. It’s glorious, and it kicked off this month with a massive special issue of Lightspeed. At over 500 pages (according to my epub of it), Queers Destroy Science Fiction! is a weighty piece of work, and it’s clear that it’s been conceived and crafted with deep caring and exquisite attention to its purpose. Most importantly, a real (and successful!) effort was made to be inclusive of the entire QUILTBAG acronym, and the more than two dozen personal essays included in the issue are must-read content for this reason. If you’re not queer, they offer a great variety of different perspectives to learn from; if you are queer, there’s a multitude of stories to identify with. Either way, if you have a soul something here will speak to you. and “O Happy Day!” by Geoff Ryman – Both of these stories deal with obvious Nazi metaphors and totalitarian futures, but with vastly different approaches and two very different ways of integrating queerness into the narrative. In nonfiction, aside from the truly wonderful personal essays, there’s also a nice piece on Robert A. Heinlein’s influence and an excellent interview with David Gerrold. This, however, leads to my only real complaint about the issue, which is that the David Gerrold interview is extremely poorly formatted. I thought it might just be the epub version of the magazine, but it appears that the online version of the interview is similarly difficult to read because with no quotation marks, italics, or block quoting it’s hard to tell what parts of it are David Gerrold’s statements and what parts are Mark Oshiro’s commentary. 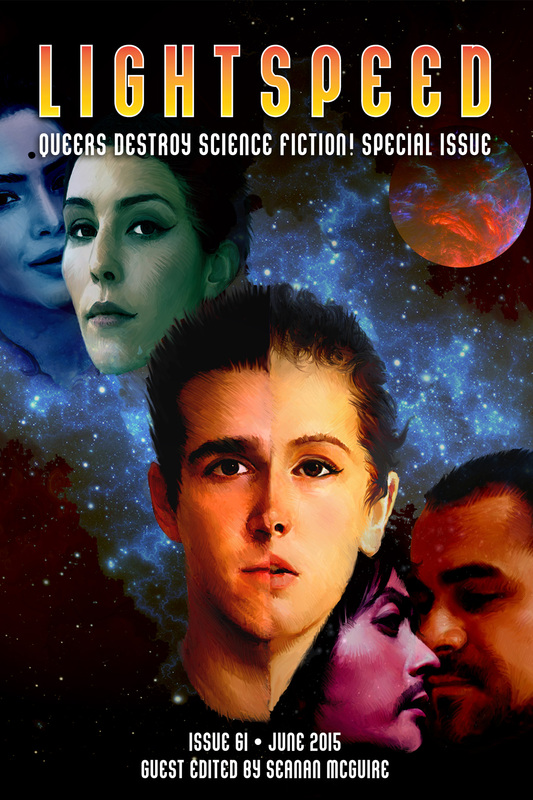 At just $3.99, Queers Destroy Science Fiction! is a great value, and I highly recommend purchasing it. Queers Destroy Horror!, a special issue of Nightmare will be out in October, followed by a Queers Destroy Fantasy! issue of Fantasy Magazine in December. And in 2016, Lightspeed will be doing POC Destroy Science Fiction! with guest editor Nalo Hopkinson.